(CNN) -- Nokia, the world's leading cellphone maker, announced Tuesday that it was cutting 1,700 further jobs globally due to falling demand. 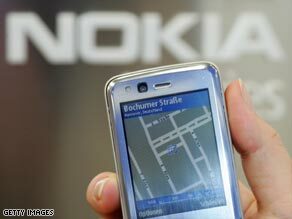 Nokia says the recession is hurting demand for its phones and it must cut costs. The Finland-based giant has already announced hundreds of lay-offs in response to the deepening recession. In a statement, the company said the latest cuts were part of its drive to increase "cost-efficiency and adapt to the market situation." The latest job losses would primarily be from its devices and markets units and in corporate development and global support, Nokia said. "Nokia plans to scale sales, marketing and technology management to match the pruned portfolio and global consumer demand. "Where applicable, Nokia will start consultations with employee representatives about these plans." The company said it continued to look at all areas for savings.